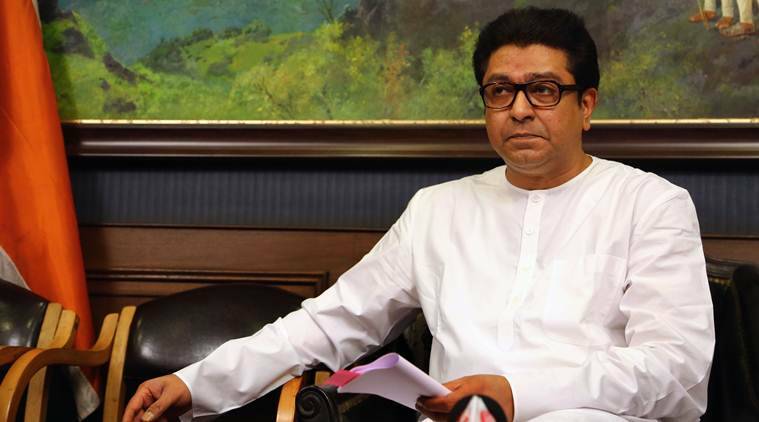 Officially, Raj Thackeray has declared he will not field any candidates from his party for the upcoming Lok Sabha elections but he has urged his party workers to campaign against PM Modi and BJP president Amit Shah. Maharashtra Navnirman Sena President Raj Thackeray is being roped by the Nationalist Congress Party as the star campaigner to dent the image of Prime Minister Narendra Modi-led BJP in the upcoming Lok Sabha elections. NCP president Sharad Pawar held a meeting with the MNS president on Tuesday in Mumbai. Officially, Thackeray has declared he will not field any candidates from his party in the elections but he has urged his party workers to campaign against PM Modi and BJP president Amit Shah. Highly placed sources in MNS revealed, “The MNS chief reckons fielding candidates in Lok Sabha elections without any formidable alliance will not bring electoral dividends. It will be a futile exercise.” Instead, the MNS president wants to take the centre stage as the star campaigner speaking his mind against Modi and Shah. In a candid admission, NCP state leaders said, “Ideally, we were keen on having MNS as an ally in the Mahagathbandhan but Congress opposed our move.” Now, NCP is planning to have some covert understanding with MNS and the party to support Thackeray as the star campaigner in key constituencies where it faces its biggest challenge from Shiv Sena and BJP. In 2009, MNS had consolidated its support base across Mumbai, Thane, Nashik and Pune and had 12 MLAs in the state legislative assembly. However, the 2014 Lok Sabha elections saw MNS getting drubbed and being unable to garner even a single seat. Whereas, in the assembly elections, the party managed to win only one seat. In the 2014 Lok Sabha elections, MNS’s vote share was just 1.47 per cent. As against this, BJP got 27.56 per cent, Shiv Sena gained 20.82 per cent; Congress 18.29 per cent; NCP 16.12 per cent; Swabhimani Shetkari Sanghatana 6.82 per cent; CPI (M) 0.38 per cent; CPI 0.12 per cent; BSP 2.63 per cent and Independents 3.27 per cent. In the last couple of public rallies, MNS had slammed the Modi government over the Rafale procurement and airstrike against terrorist camps in Pakistan. The MNS in a scathing attack alleged that the Modi government was raking anti-Pakistan sentiments to get political mileage and indicated that the ruling party often adopted a strategy to whip up national fervour during elections. Earlier, Chief Minister Devendra Fadnavis had said that the MNS chief was like a parrot reading out Pawar’s script.